“You know how sometimes the cover-up is worse than the crime? In this case, the investigation was much worse than the no-crime.” – Rudy Giuliani, former U.S. Attorney for the Southern District of New York and New York City Mayor. 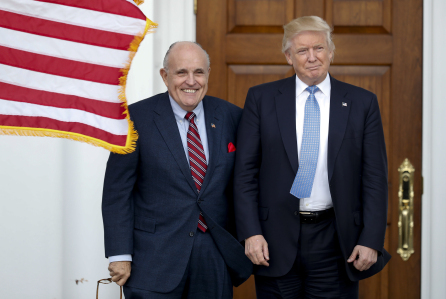 During his appearance on Sean Hannity’s top-rated Fox News Channel show yesterday evening, one of President Donald Trump’s legal defense team, former federal prosecutor and Mayor of New York City, Rudy Giuliani, warned Hannity’s viewers that the American people don’t know even half the story regarding FBI misconduct during the 2016 election, after Trump’s win and during Trump’s transition team meetings. In fact, Giuliani said the misconduct may be continuing in the Office of the Special Counsel. “While the mainstream news media have kicked the pretense of being straight-forward to the side of the robe, honest journalists are aware of the double-dealing, dishonest coverage their colleagues spew on news pages, radio and television news outlets,” said Mike Snopes, a former New York City police detective and a director of security for the now defunct Loew’s Hotels chain. “At one time, reporters understood they were supposed to cover their subjects as a ‘disinterested third-party.’ They understood they weren’t supposed to take sides. Cops were often trained in being disinterested third-parties on cases to which they were assigned. Prosecutors were also encouraged to do the same,” Snopes added. Giuliani went on to tell Hannity that there was only one act of collusion in the case, and that was U.S. intelligence officials colluding with a British spy from MI6 named Christopher Steele, who was trafficking in bad information from the Russians. James Clappers hatred for the President is one reason he should never have been involved in the FBI’s illegitimate probe of Donald Trump. He and John Brennan are known liars and should never have been intelligence directors. 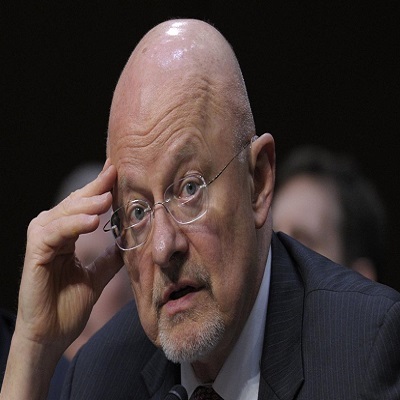 While the FISA court judge who signed the first of four warrants is said to be furious with those bringing her the search warrant applications and those who were involved in writing the information on it such as Director of Nation Security James Clapper, FISA court’s Judge Rosemary Collyer has not sent out any press statements nor has she commented on the case. 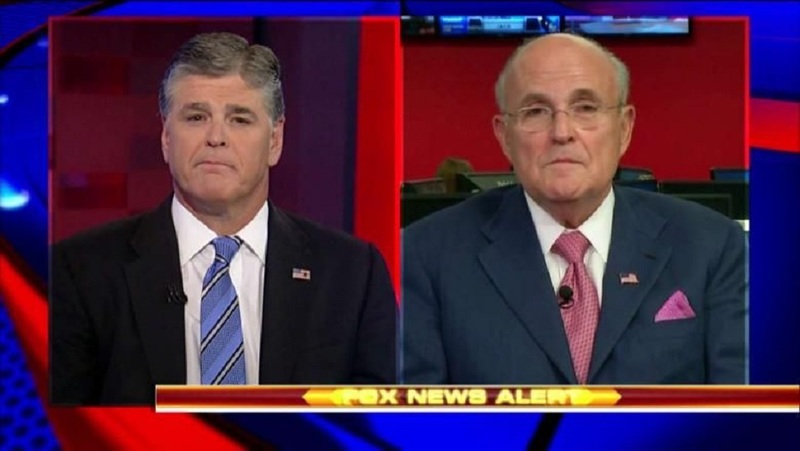 During Hannity’s interview of Giuliani on the show, Hannity offered that he was suspicious of Robert Mueller and his investigation team made up of Democratic Party attorneys who were “on the pad” of the DNC and several were actually involved in the conspiracy, a point that Giuliani agreed with. The American citizens voted for this man as their President to do great things for the nation and its people who were treated like taxpaying-cattle by the Democrats in the Obama White House and the U.S. Congress. In fact, the nation is going through an economic boom, foreign police issues are being addressed from a position of power, and minorities are enjoying the lowest unemployment rates in the country. They never voted for some ridiculous witch hunt created by Democrats and the partisan Deep State. For those reasons and more, many believe that Rudy Giuliani is right when he hints at more stuff to come. These treasonous, bad-actors truly deserve to go down with the ship because they tried to frame the president.